Mr. Greg DeLand, CPA, CMA is the company’s President and is the founder of www.qsavings.biz. Greg is very “hands-on” in the day to day business and will gladly take your call to learn your business needs. Getting the right software at the lowest price is mission critical to our customers. Software investments can be significant and span several years. So taking some time up-front pays off in the future. “Greg is not intimidating, and explains things in a language that I understand” (Jennifer Judd). Read more testimonials. He is Advanced Certified in QuickBooks, including QuickBooks Enterprise and Point of Sale. He holds a degree in Accounting Information Systems from Eastern Michigan. Mr. DeLand has strong construction background and even served as the GC for one of his homes. Mr. DeLand has served as both a Cost Manager and Controller for a large international distribution company. He has adapted techniques from large companies and applies them to small business. Our manta is about serving you; not about us. 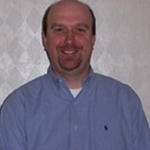 Mr. Robert Stewart, MBA is a technology expert with over 17 years experience. 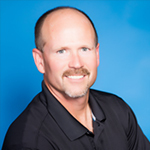 Specifically, Bob writes custom applications that share data with QuickBooks, including custom reports. His focus is in: QuickBooks SDK, Data Integration, Custom Programming, Custom Reports, Microsoft Access, and Excel. Bob earned his BBA from the University of Michigan, Ann Arbor, and his MBA from Wayne State Univeristy. Tony is our direct connection with makers of QuickBooks. He has over 10+ years at Intuit and is our “go to” person at Intuit. Having Tony in your corner, you can count on assistance when you need it most. Call him and see for yourself. He knows our business well! Gina Avila, Team Leader at Intuit, is a hands on manager of the Solution Provider Program. Before Gina was promoted Team Leader, she was the direct predecessor of Tony Martinez. Intuit promotes from within and the continuity is a key to our on-going success. With 23+ years at Intuit, Gina knows Intuit inside and out. George Madenian – Intuit Account Executive, Merchant Account Services Group. George Madenian is a payments manager at Intuit. If you accept credit cards or payments through QuickBooks software, George is your guy! George helps with: 1) Credit/Debit Card Acceptance. 2) Gift Cards/Loyalty Cards. 3) Web Site Payments. 4) Mobile Phone Payments. George is located in the Woodland Hills, California office of Intuit. Michele Williams – Intuit Payroll Executive, Payroll Services Group. Michele’s success isn’t about us; rather, it’s about you, and the best payroll solution at a great price.